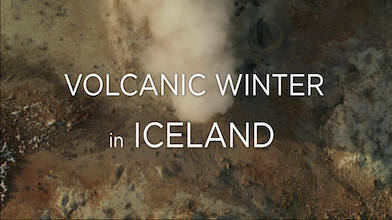 Iceland sounds like one of the coldest places on earth. While it is cold, it isn't any colder than many northern European countries. Looking across the barren, snow capped and frozen tundra, you see pops of steam rising from the earth. Those volcanic eruptions help make the country's famous geothermal baths. Siggizoom's film brings a fresh, exotic perspective to the ancient and recently popular phenomenon in this aerial edit.